On today’s episode of the Journeywomen podcast, I brought back my friend Amy Waters to discuss navigating the holidays when it just feels hard! We covered it all, from unmet holiday expectations to weightier stuff, like gathering together after the loss of a loved one. Amy offers us lots of tips from her perspective as a counselor, and of course, she points us to the hope we have in Jesus as we’re in the thick of the holiday season. So you’ll know her a little better, Amy is a Licensed Professional Counselor, Women’s Bible Study leader, disciple maker, and self-proclaimed theology junkie. 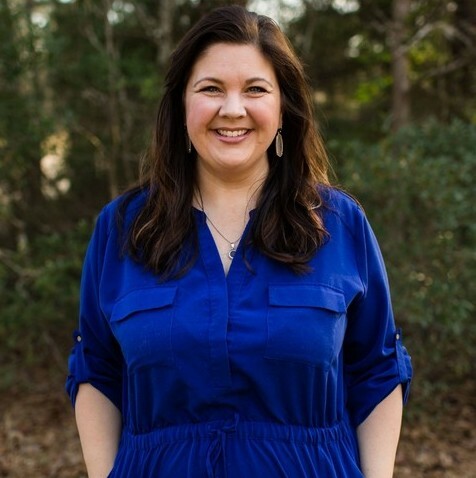 Amy spent nearly 10 years on staff at Pine Cove as a Conference Director, and it was there that God gave her a passion for ministering to women and families. She earned a Masters in Marriage and Family Counseling from Southwestern Baptist Theological Seminary in 2011 and is currently counseling at the Alethia Counseling Center in Tyler, TX. I cannot wait for you to hear from Amy today! As everyone knows, Christmas, and New Years are quickly approaching, Thanksgiving will have just passed when this episode airs, and while that means lots of fun family time for some of us, this is also a difficult time for many. Other than the logistics involved with purchasing presents, eating too much, and being overloaded with parties, what is it can make the holidays so hard? Why is it that holidays, in particular, tend to draw out even more sadness or friction than every other day? What is our hope, even when holidays are hard? Even when everything seems to be going wrong, what hope do we have? What encouragement do you have for the woman filled with dread even thinking about the next few months? What about the woman who is expecting to have a great holiday season, but who finds herself completely blindsided by unmet expectations? What would it look like to communicate expectations on the front end, whether they be financial, relational, or logistical? When might this be a good idea? Even then, if the expectations go unmet, how can we graciously move forward in the hope we have in Jesus? What would it look like to come alongside a friend or family member who is having a really difficult time with the holidays? How can we love them well, enter into their suffering, and extend compassion (even if we really just want to have a good time)? What opportunity are we presented with when it comes to the holidays, even if they are hard for us? What 3 resources would you recommend for someone who wants to navigate this season well? Do you anticipate anything being difficult this holiday season? If so, what? What are the scripts you desire to change? What is this holiday actually about? How can we glorify God as we go about this holiday season? Where can you see the hand of God in your holidays already? Pray and ask him to give you eyes to see him working in and through the coming weeks. Away makes suitcases for the way we actually travel, with features like an ejectable TSA-approved battery or a built-in front pocket. Every suitcase comes with a 100-day trial that gives any traveler getting Away plenty of time to decide on the perfect size and color. For $20 off a suitcase, visit awaytravel.com/hunter and use promo code HUNTER during checkout! Because this season, everyone wants to get Away! Simple Contacts lets you renew your prescription and re-order your brand of lenses from anywhere using an online vision test. Designed by doctors, every vision test is reviewed by a doctor so they’re truly bringing the doctor’s office to your home. The vision test is only $20 and shipping is free! Try it for yourself and save $20 on your lenses by using the code journeywomen20 at checkout.